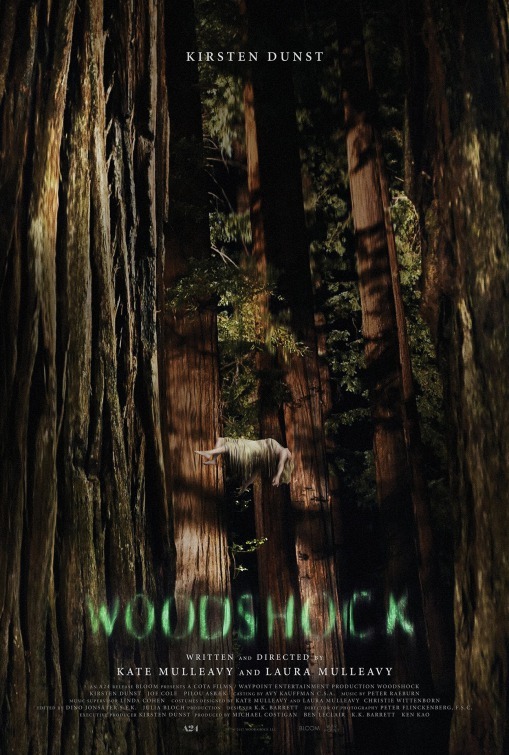 With its hazy, washed out cinematography, languid pacing, ambient soundtrack, and naturalistic performances, WOODSHOCK is every inch the modern indie film. Written and directed by fashion designers turned filmmakers Laura and Kate Mulleavy, it is a film that announces early on that it has something to say, and then goes about saying it in a whisper so low you’re not really sure what was said. It is a tone poem about a woman descending into grief and madness while engulfed in a haze of marijuana smoke. The plot, to the degree the film has one, is that Theresa (Kirsten Dunst) works at a medical marijuana dispensary. In addition to the usual fare one would expect to find in such an establishment, Theresa also offers a special euthanasia blend to terminal customers. As the film begins, Theresa is giving this drug to her mother. It may be what mom wants, but Theresa has a hard time dealing with her guilt afterwards. From here on, the film is basically Theresa walking around in a funk, interspersed with dream/hallucination scenes. Neither her boyfriend Nick (Joe Cole) nor boss Keith (Pilou Asbaek) offer much in the way of useful support. There’s also a subplot about Theresa selling her special weed to an elderly gentleman named Ed (Steph Duvall) that leads to the death of another character, further intensifying Theresa’s guilt and depression. It all leads up to a jarring burst of violence and an abrupt, unsatisfying conclusion. Nonetheless, there are aspects of the film that stand out. 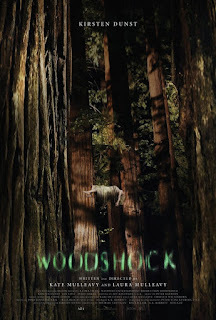 Dunst gives a first rate performance, the film maintains a languid, druggy atmosphere throughout, and some of the symbolism and trippy visuals are compelling. In the end, though, it just doesn’t add up to much. 2 out of 4 stars.